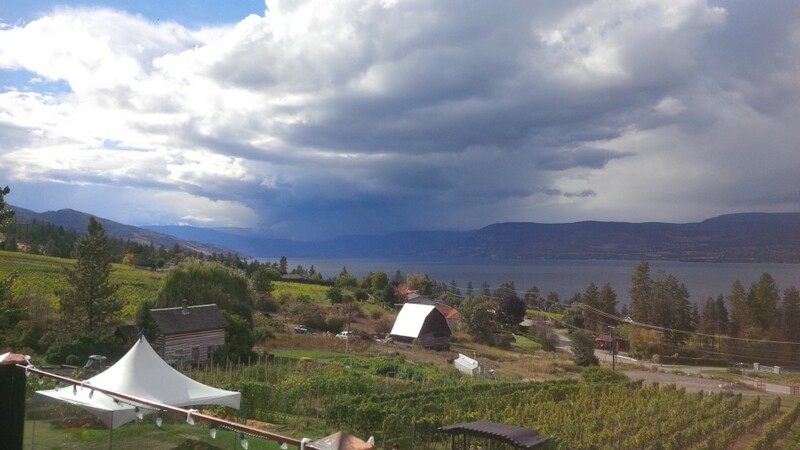 The Okanagan is Canada’s answer to Napa Valley. When you think Canada, you don’t necessarily think of wine. Well – they’ve got a wine industry, and it’s really, really, good. I make a point of visiting the region at least once each year, and whilst I do try and visit new wineries each time, there’s a few staple wineries which I can’t help to go to year after year. Let’s start in the south, with the quirkiest name. 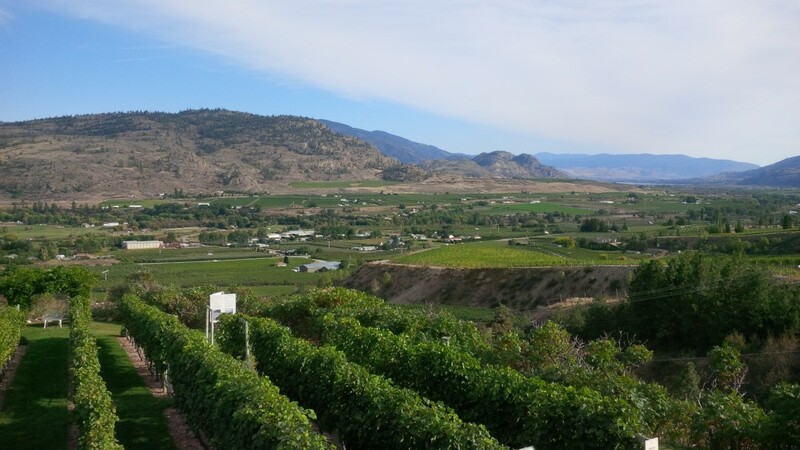 Pronounced “Ink-a-meep,” it is a native winery in beautiful settings just outside the southern border town of Osoyoos. If you’re looking for a great place to stay, this is a sure thing – as it is directly connected to one of the largest resorts in the Okanagan region, The Spirit Ridge Resort by Hyatt. Reasonably priced and beautifully appointed, it’s a great base, and a great way of not having to worry about who is the designated driver. The wines are fantastic, in particular the Pinot Blanc, which is an easy one to drink way too much of. When I visited, we sat at a long table overlooking the lake, enjoyed a phenomenal wine makers dinner, and kept the wine flowing late into the night. By far my favourite stop off in the Okanagan, and for good reason. Not only are all of the wines outstanding, the restaurant is delicious and the views fantastic. I make a point to frequently stop here for lunch or dinner if I can. There are suites available on site, and it’s definitely on my bucket list to stay here sometime. It’s impossible to pick a favourite varietal, they are all that good – but I am sure to keep a bottle of Meritage in my wine collection, and the Pinot Grigio goes down like a charm. A gem in the Okanagan with a big personality. The winery itself is very homely, but the new restaurant up on the hillside is an ideal spot to stop for a bite. The wine’s are all fairly dry, but that’s what I like about them. The Gewürztraminer is what they’re best known for. I was fortunate enough to stay on site at the winery for a few days a couple of years ago, and the hospitality was next level. Definitely not a winery to miss. In the summer, look out for the concert series which takes place in the amphitheatre at the winery. See Ya Later is a great little stop off with a unique story. Personally, the wines themselves aren’t my favourite from the region – however, the story is what keeps me coming back time and time again. 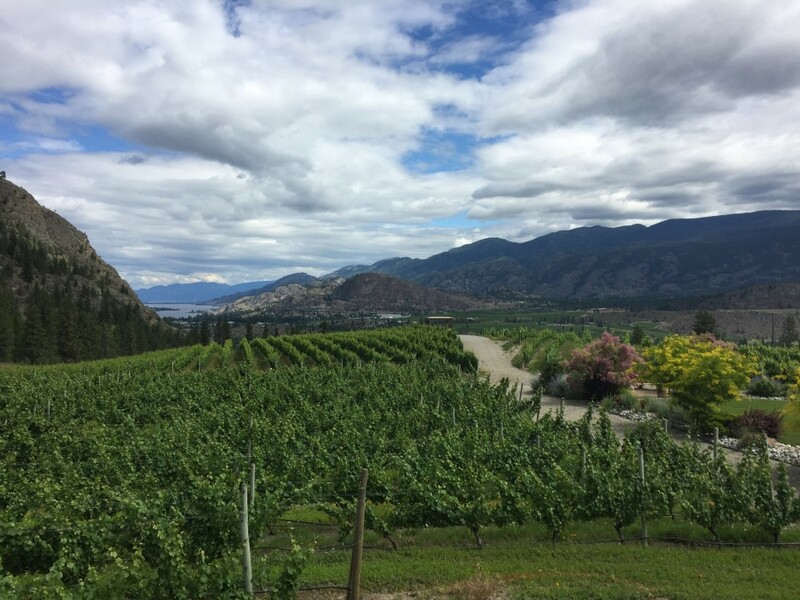 First, we have a steep winding road to take us up to the winery, which is perched atop a hillside overlooking Okanagan Falls. I’ll leave it to the winery employees to explain the story behind the name, but if you’re a dog lover then you have to make this a stop, as a number of the wines are named after the wine maker’s dogs. 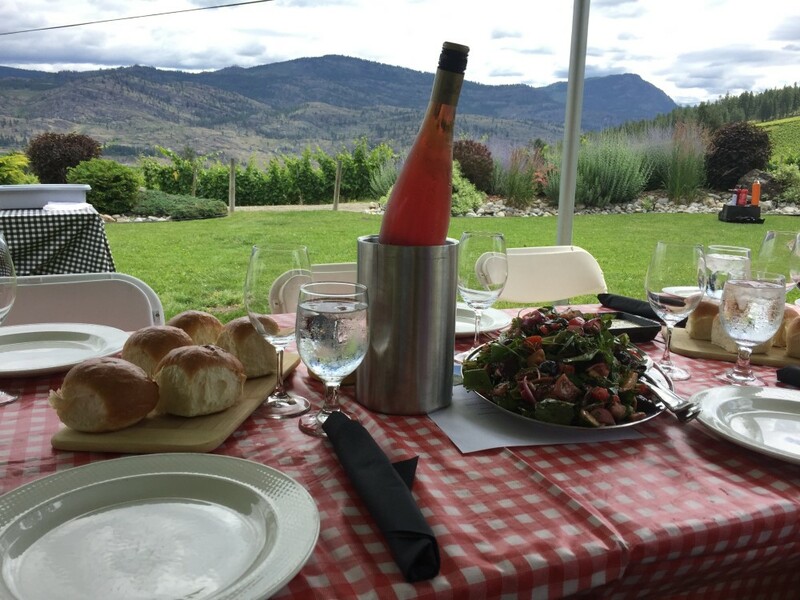 We had a wine makers lunch here, and both the setting and the food were home grown and authentic. It was definitely a highlight of the trip. If you’re after bubbles, this is a great stop. There is something very unique about Summerhill, and the story surrounding it. The winery itself is moderately industrial, however touring the vineyards with the owner (Ezra) was quite a unique experience. I felt a real connection with the wine, as we sampled grapes from the vines and meandered around compost heaps. There was nothing manicured about the vineyards – it was totally real and homely, and that completed the whole experience. Yes, it’s big, and yes, it’s corporate – but Mission Hill remains a great place to stop off. A tour of their wine cellar alone is reason enough to visit, but there’s so much more than that. Be sure to have a bite at the restaurant, and sample some of the extensive line up in the tasting room. Since Mission Hill is so close to Kelowna, we stayed at the Delta Grand Okanagan Resort which was right on the lake and gave us fantastic access to everything in Kelowna.